For beginners and intermediate students I love the Rubank Method (Beginner, Intermediate, Advanced 1 and 2). Most school systems start with Essential Elements or Standard of Excellence – I prefer to work from one of the books I mentioned above, though I will always happily address any problems or concerns you have with your school assignment – just ask! I find that the EE or S of E books are designed for the convenience of the band director and don’t treat the oboe very intelligently. As we work in Rubank we will quickly outpace the band program. 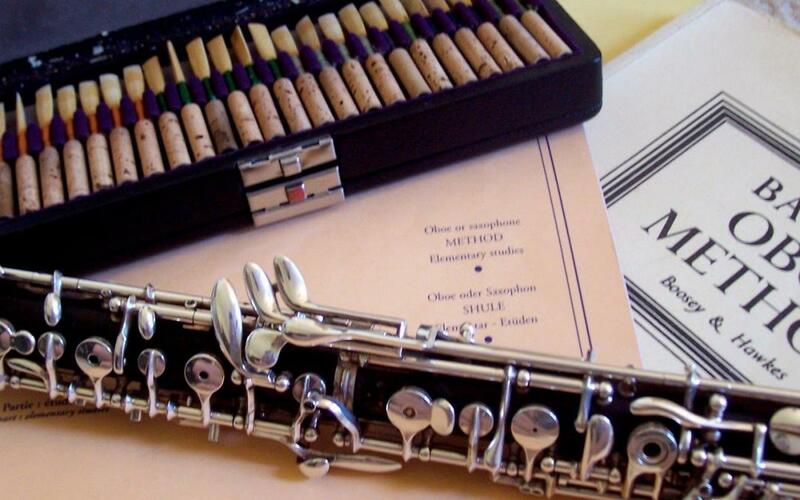 For more advanced students I usually work in the Barret Book – very much the gold standard for oboists. The Ferling Etudes are quite advanced, but beautiful pieces that require – and build – real skills to get through. Whitney Tustin’s Daily Scales is also highly recommended for the advancing student.